For the residents and families that rely on these services, senior care centers provide relief from the many worries associated with elderly care including personal injury. For the owners of these institutions, Kentucky assisted living facilities insurance provides coverage in situations where residents suffer injury (such as slips and falls) while in the care of the facility. Kentucky assisted living facilities insurance protects your facility from lawsuits with rates as low as $87/mo. Get a fast quote and your certificate of insurance now. The risk of falls, abuse from caregivers, negligence, and erroneous dispensing of medication cannot be ignored especially in a larger institution where there's high traffic. To protect your facility from a lawsuit learn more about how you can benefit from Kentucky assisted living facilities insurance. Malpractice Insurance: This will cover the costs arising from a lawsuit in case you are sued for your services. If a resident is harmed in any way from a service or advice that you provided, you will be held legally liable. The main reason for purchasing malpractice insurance is that a typical general liability insurance policy usually only applies to cases of personal injury, property damage, bodily injury, and advertising injury. Keep in mind that some professional services and products can give rise to legal claims even without causing any specific harm covered by such Kentucky assisted living facilities insurance policies. KY Commercial Property Insurance: All businesses need coverage for expensive equipment, office space, supplies, etc., in case it is damaged by a fire or natural disaster, stolen, or vandalized. Office furniture, medical equipment, and other contents may be included in the Kentucky assisted living facilities insurance policy. Cyber Liability Insurance: Because a lot of your facility data is saved on computers and cloud storage services, there is a risk of cybercrime and data loss. Cyber liability is a type of Kentucky assisted living facilities insurance coverage that covers your liability in case of a data breach in which the facility's residents' personal information such as credit card numbers or social security numbers are exposed or stolen by hackers or other criminals. Worker's Compensation Insurance: This is a state-mandated coverage in most states for any non-owner or partner employees. KY workers comp covers medical treatment and lost wages resulting from an employee's work-related injury. The policy provides a mandatory relinquishment of the employee's right to sue his or her employer for negligence. KY assisted living facilities need insurance coverage as a risk management solution for the cost of claims over time. If for example, residents experience falls quite frequently in your facility, you can establish a loss control service that addresses existing needs and offers tools and resources. 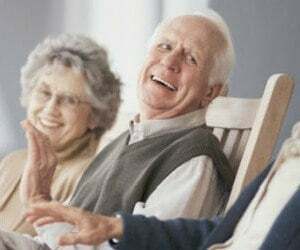 Request a free Kentucky Assisted living facilities insurance quote in Alexandria, Ashland, Barbourville, Bardstown, Beaver Dam, Bellevue, Benton, Berea, Bowling Green, Brandenburg, Cadiz, Calvert, Campbellsville, Carrollton, Central, Cold Spring, Columbia, Corbin, Covington, Crescent Springs, Crestview Hills, Crestwood, Crittenden, Cynthiana, Danville, Dawson Springs, Dayton, Douglass Hills, Eddyville, Edgewood, Elizabethtown, Elsmere, Eminence, Erlanger, Flatwoods, Flemingsburg, Florence, Fort Mitchell, Fort Thomas, Fort Wright, Frankfort, Franklin, Georgetown, Glasgow, Graymoor-Devondale, Grayson, Greenville, Harrodsburg, Hartford, Hazard, Henderson, Highland Heights, Hillview, Hodgenville, Hopkinsville, Hurstbourne, Independence, Indian Hills, Irvine, Jeffersontown, La Grange, Lakeside Park, Lancaster, Lawrenceburg, Lebanon, Leitchfield, Lexington-Fayette, London, Louisville, Ludlow, Lyndon, Madisonville, Marion, Mayfield, Maysville, Middlesborough, Middletown, Monticello, Morehead, Morganfield, Mount Sterling, Mount Washington, Murray, Newport, Nicholasville, Oak Grove, Owensboro, Paducah, Paintsville, Paris, Park Hills, Pikeville, Prestonsburg, Princeton, Prospect, Providence, Radcliff, Richmond, Russell, Russellville, Scottsville, Shelbyville, Shepherdsville, Shively, Simpsonville, Somerset, Southgate, Springfield, St. Matthews, Stanford, Stanton, Taylor Mill, Union, Versailles, Villa Hills, Vine Grove, Walton, West Liberty, Wilder, Williamsburg, Williamstown, Wilmore, Winchester and all other cities in KY - The Bluegrass State.